The latest NBA All-Star voting shows Kevin Durant and James Harden, two perennial league favorites, on the outside of that starting lineup looking in. Shocked? You shouldn’t be because this year, that can only mean that fans are finally paying attention. Try this on for size. James Harden has been on an offensive tear lately. In the absence of his running mate Chris Paul, Harden has averaged over 30 points in, as of this writing, 18 straight games. The guy has been, rather inappropriately mind you, drawing comparisons to Wilt Chamberlain. Over that 18-game stretch, Harden has taken 460 shots. Of those 460 field goal attempts, he has made only 180. That’s a 39% clip for a guy who is taking the overwhelming majority of his team’s shots. 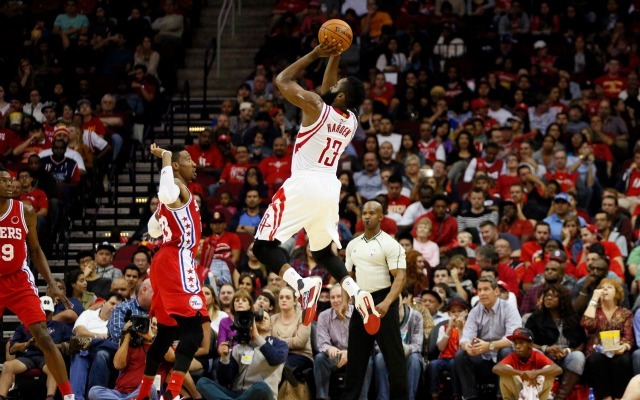 As of right now, Harden has taken 958 shots this season. The teammate closest to him has attempted half that many. Harden went nuts this week, scoring 58 points against the Brooklyn Nets. His team lost. Harden’s patented dribble-drive (he’s left-handed), step-back and shoot is currently one of the league’s most un-guardable moves, especially in this day and age where contact with another player is verboten. Harden’s individual streak is undeniably impressive, the key word here being individual. Harden’s former teammate is also scoring at an impressive clip. Kevin Durant is fourth in the league in scoring, averaging 28 points per game. Like Harden, Durant is inarguably one of the top five players in the league, if not the best, and has been for quite some time… yet he’s not leading in the fan voting either. Not even close. He’s currently the 6th leading vote-getter in the West. Apparently, the average NBA fan has yet to forgive him for joining the Golden State Warriors. Durant’s numbers are impressive but he’s not even the third most valuable player on his team. He will be an all-star this year. He’ll just be coming off the bench. Is something amiss or did fans finally get it right? To be sure, the fact that Derrick Rose has more All-Star votes than James Harden is laughable. That’s not to undermine the numbers Rose is putting up (18.8 ppg) but to suggest he’s having a better, or even more valuable, season than Harden is absurd. Even at his best, Rose never was the player that James Harden is. After a career full of incomplete seasons, Rose has endeared himself more to NBA fans than Harden is currently, even at his 35 points per game clip. That’s why All-Star voting is left up to the fans. Because opinions matter. And this year, they have spoken loud and clear. 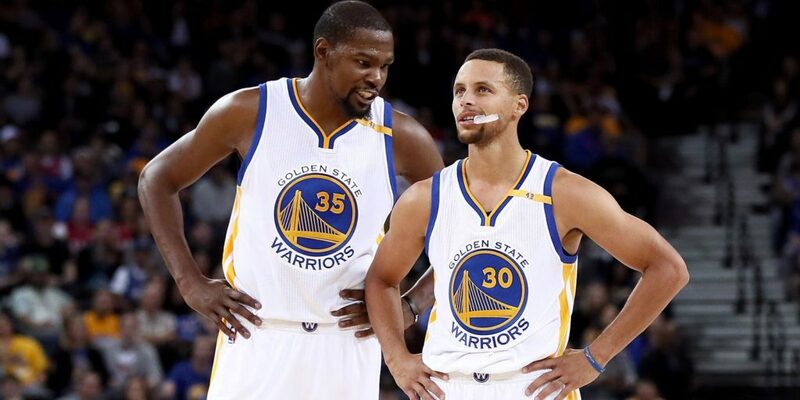 Similarly, although Kevin Durant’s Warriors (they’re really Steph Curry’s) have re-assumed first place in the Western Conference, few give Durant credit for that success. Their early season struggles were mostly attributed to Curry and Draymond Green being unhealthy. Now that they’re both back and the Warriors’ juices are flowing again, Durant’s numbers have been put into perspective. His scoring is up but his efficiency is down. That plus people still disapproving of his move to Oakland all equate to fewer votes in the polls. Harden and Durant are both in the top four in league scoring yet neither rank in the top 30 in field goal percentage. With shoddy defense and far more lackadaisical foul calls, scoring in the league is up. Anyone can score if they take enough shots, case in point James Harden 2018. Just like the other major sports, the NBA is a popularity-based league and the All-Star Game has always been about the fans. I commend them for having a discerning eye. The Western Conference is overloaded with individual talent and to be clear, any way you slice it, James Harden and Kevin Durant are two top-five players in this league. They both deserve to be, and will be, all-stars… but not because of the seasons they’re having. The fans are seeing to it. This entry was posted in Featured, Hardwood and tagged Derrick Rose, Houston Rockets, James Harden, Kevin Durant, NBA, NBA All-Star Game by Chris Humpherys. Bookmark the permalink. So, Bleed, how far do we have to go back to find an All-Star lineup that’s better than Curry, James, Harden, Durant and Davis? I may just look into it. And how the hell did Harden make up all those votes so quickly to crack the starting lineup? That plus I’m preeeeeeeetty sure television ratings might have had something to do with it.